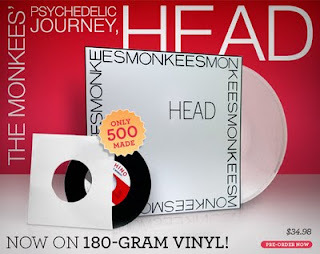 It's Clear To Me That Rhino Is Out of Their "Head"
Rhino Records is at it again with Monkees catalog. 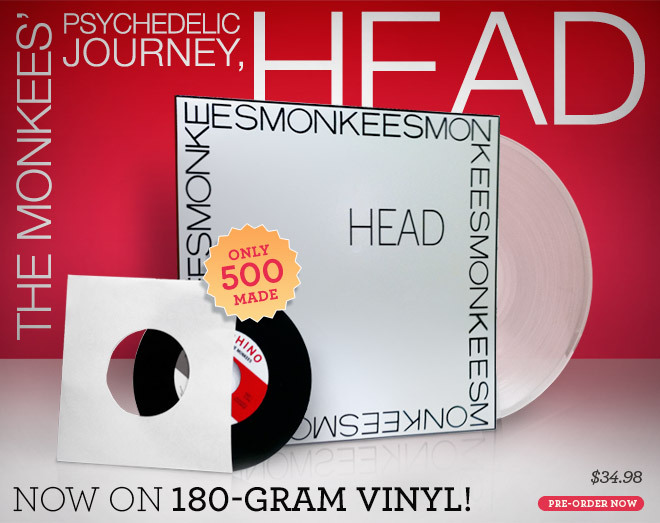 They announced on Wednesday that they are going to offer "Head," the soundtrack to the Monkees' only movie which originally came out on Colgems in 1968, in clear, 180-gram vinyl. This set also includes a bonus 45 of "Circle Sky (Live)" b/w "Can You Dig It (Mono Mix)," and is strictly limited to just 500 copies worldwide. This set ships in late September, and again, it is limited to just 500 copies. Go to rhino.com for more information. Personally, I would have preferred a release of the "Head" movie on DVD and Blu-ray. Yes, I know it is out in the Criterion collection, but who wants to buy that whole package when the only thing you want is "Head"? And yes, I know that the Monkees TV series is being re-released on DVD, but it is the same version released by Rhino several years ago, which means the episodes are the edited ones, so don't get too excited, unless you don't already have them in your collection. Now, can some enterprising record company release the Colgems catalog legitimately? 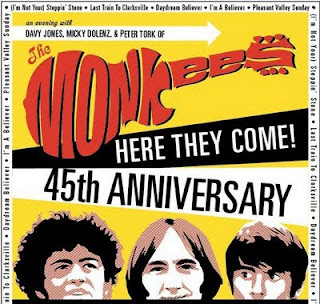 The remaining dates on the Monkees 45th Anniversary Reunion Tour have been canceled. Read all about it at http://rantingravingblog.blogspot.com/.